Shirley Chernin has been a fulltime community volunteer almost since her graduation from the University of Toronto. Among her many volunteer positions she helped found the Town Daycare Centre in Glace Bay and served as its first Chairperson. She also served as the first Chairperson of SpeciaLink from 1992-2006. Shirley was the recipient of the first Order of Nova Scotia award. With SpeciaLink’s administrative return to Cape Breton, Shirley has agreed to provide the organization with her skills and dedication once again. Anne Marie Singler has been a consumer of child care, with three children who attended child care (Sydney Day Care Centre) and a long time history of providing bookkeeping services to that Centre. She has worked as office manager at the Sydney and Area Chamber of Commerce for many years. In addition, Anne Marie provided bookkeeping services to SpeciaLink for 15 years and also served as its treasurer. With SpeciaLink’s administrative return to Cape Breton, Anne Marie has agreed to provide the organization with her skills and dedication once again. Brenda Frison has been a consumer of child care, with three children (one of whom has a special need) who attended child care (Sydney Day Care Centre). An ECE from St. Joseph’s Training Program, Brenda has worked at Sydney Day Care Centre for most of her professional life. She brings her triple perspectives – consumer, parent of a child with special needs, ECE — to the Board of Directors. Ronald Caplan has been editor and publisher of Breton Books, which has published SpeciaLink publications since 1992. 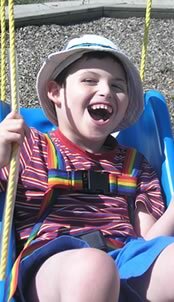 He has also been a visible community advocate for inclusive services for children with disabilities. With an honorary degree in recognition of his lifelong work, Ron has agreed to provide the organization with his skills and dedication once again. Wilma Hutchison served on the SpeciaLink Executive when it was located in Sydney, Nova Scotia and looks forward to returning to this role. She is director of Sydney Daycare and her leadership brought children with disabilities into this large child care centre in a very positive manner. Trained at the Nova Scotia Institute of Technology, Wilma has worked at Sydney Daycare for 33 years. Vic Stone has been a relentless advocate for his 13-year old son who has ADHD, Tourette’s, Obsessive Compulsive Disorder and Autism Spectrum Disorder, successfully advocating government, school boards, the child care system and provincial agencies for fundamentally necessary supports, that will provide him with equal opportunities that most other children can take for granted. Vic has been involved in the Autism community and brought Relationship Development Intervention (RDI) to Manitoba by organizing two successful training events attended by over 600 parents and professionals headlined by Dr. Gutstein. Vic is a board member for the Independent Living Resource Centre of Winnipeg and embraces the Independent Living philosophy which asserts that everyone is entitled to live as independently as possible and that even the most severe and profoundly disabled individuals should be enabled to exercise maximum control over their lives. Vic has done graduate work in Spanish/English translation and volunteered for new Canadian programs with the International Centre and the University of Manitoba. As a parent of a child with disabilities and as a past consumer of inclusive childcare services, Vic is a passionate believer in SpeciaLink’s goal to expand the quality and quantity of opportunities for inclusion in child care, as fundamental right to which all Canadian families are entitled. He served as Chair of SpeciaLink from 2007-2010 and will remain on the board as a member at large. Ruth Bancroft has worked in child care for over 30 years. Since 1978, she has been the Director of the Langara Child Development Centre, which is an inclusive campus child care program serving 62 children from 18 months to 5 years of age and their families. Ruth has been involved in the development of Supported Child Care in Vancouver from its inception and is a member of the Vancouver Local Advisory Committee to the Supported Child Development Program. She is also on the Board of the Coalition of Child Care Advocates of BC. Ruth has been on the SpeciaLink Board since 2007 and adds her West Coast voice to those who advocate for a quality inclusive child care system. Margaret Burke has worked in child care for over twenty-five years. Since 1994, she has been the Director of the Town Daycare Centre in Glace Bay, Nova Scotia, which is an inclusive child care program serving 94 children from 18 months to 12 years of age and their families. Margaret has been involved in the development of the Cape Breton Non-Profit Directors group, and has recently been part of the federal consultation on the child care spaces initiative. Margaret has been a member of the Board of Directors of SpeciaLink for thirteen years. Donna S. Lero is an Associate Professor in the Department of Family Relations and Applied Nutrition at the University of Guelph and holds the Jarislowsky Chair in Families and Work. She directs a program of research on public policy, workplace practice and community supports in the University’s Centre for Families, Work and Well-Being, which she co-founded. The Centre is an interdisciplinary research centre that provides an important focus for faculty and students with shared interests in various aspects of work-life. The Centre’s mission is to use research and teaching expertise to promote individual and family well-being, responsive and productive work environments, and strong, sustainable communities. Dr. Lero teaches undergraduate and graduate courses in Social Policy. She has been involved in Canadian research and policy analysis on work and family issues in a variety of areas, including child care, support for parents of children with disabilities, parental leave, self-employment for women, and work and elder care. She is the author of over 50 book chapters, articles and government reports. Donna’s research helped to validate the SpeciaLink Inclusion Principles and Practices scales. She has been on the board of SpeciaLink since 2008 but has been our long time research partner. Dixie Lee Mitchell is from Fredericton, NB and has worked in early learning and childcare since 1986 when she was the Director of an inclusive child care centre. She is the early childhood consultant for NB Association for Community Living and for the last 8 years has coordinated the Opening the Door to Quality Child care and Development project. The staff of this project works with early learning and child care staff throughout the province of NB to increase their global quality and to enhance their capacity to include all children. Opening the Door staff also implement SpeciaLink’s Early Childhood Inclusion Quality Scale in all regions of the province and consider it one of their important tools to enhance inclusion capacity within centres. Dixie operates her own business, Solution Path, through which she conducts her early childhood work in First Nation Communities and other professional development ventures. Dixie has been the co-author of two bilingual inclusion training guides including Each Child Matters, which was produced by NBACL 1.5 years ago. She also co-developed for NBACL and Mawiw Council, a Social Inclusion Tool Kit for Families, which was funded by the federal government and is being used in many First Nation communities across Canada. Dixie has been on the board of SpeciaLink since 2008. Sharon Hope Irwin (Ex Officio) is the founding director of SpeciaLink, the National Centre for Child Care Inclusion. She has been actively involved in the frontline development of inclusive child care and early intervention programs for over thirty years. When SpeciaLink’s management moved to Winnipeg under the outstanding direction of Debra Mayer, Sharon took on the position of Senior Researcher. Now that SpeciaLink’s management is back in Cape Breton, Sharon has resumed the post of executive director. Earlier, as founding director of the Town Daycare Centre in Glace Bay, Cape Breton, Sharon initiated and expanded the concept of inclusive child care in that centre, throughout Nova Scotia and, eventually, across Canada. She is an advocate for young children with special needs and their families, locally, regionally, and nationally, serving on numerous commissions, working groups, task forces, and committees. SpeciaLink takes her work across Canada and the United States, identifying, analyzing and disseminating successful inclusive practices and policies in child care. Her work for the special needs project of the Canadian Union of Postal Workers helped to add a labour partner to the growing movement for equitable treatment of children with special needs and their families, and resulted in the publication, In Our Way: Child Care Barriers to Full Workforce Participation Experienced by Parents of Children with Special Needs — and Potential Remedies (1997), co-authored with Dr. Lero. In 2009, the SpeciaLink Early Childhood Inclusion Quality Scale was published, following four years of community consultations with over 3000 participants. Sharon received her M.A. and Ed.D. from Nova University and an honorary Doctorate of Laws from the University of Winnipeg.